Going into this retreat I wasn’t exactly sure what to expect. With mixed emotions of nerves and excitement, I couldn’t wait to see what the weekend had in store. I remember sitting in the check-in room for hours after check-in was complete and talking with the other cohort members. Eventually, we were shuffled out of the room so we could head to the retreat house. By this time I already knew this was going to be a special group but I didn’t know how big of an impact the 15 other student-athletes would have on me. After four short days we really became a family. 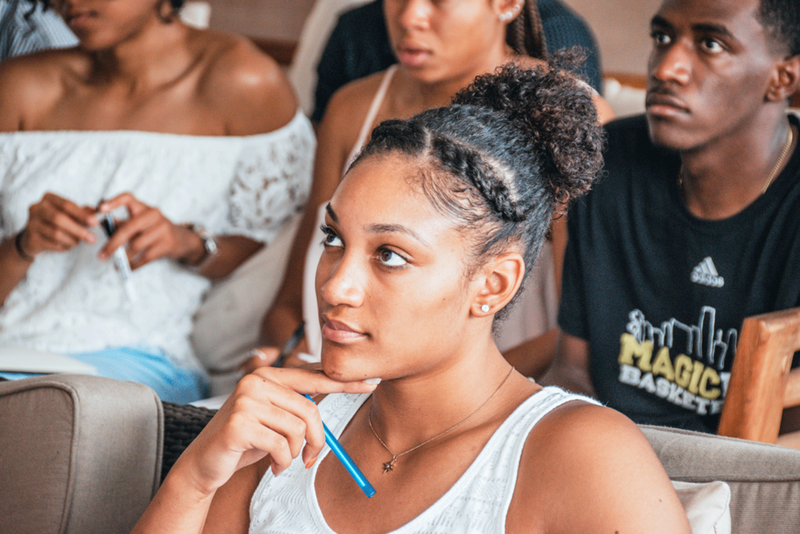 The Winning Edge Game Changing Retreat provided us with all the tools to become successful in the sports business industry. From teaching us about our professional presence and development to trap yoga sessions and a group golf lesson, nothing was left to question. Over the four days, we were challenged both physically and mentally to improve and stretch ourselves. One of my favorite parts of the retreat were the Dinners of Influence. Having the ability to have meaningful and intentional conversations with leaders in the industries I one day aspire to be in was amazing. The dinner guests were so open and honest. They shared their experiences and gave us useful advice they picked up along their paths. After the retreat, I not only left feeling prepared, but excited for what the future holds. The Winning Edge provided me with so many resources and people to help me as I begin my career path. This retreat was by far the the best career development event I have been a part of and I couldn’t have asked for a better group to experience it with. A HUGE thank you to Maria and Corinne for allowing me to be a part of such an amazing event. I am forever grateful for the memories and relationships I have made because of this retreat and I can’t wait to see what the future holds!